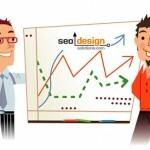 The power of SEO is the varying tactics or methods one can implement to create results. 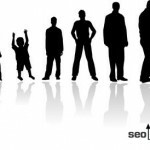 For example, you can rank a webpage with techniques ranging from backlinks, augmenting relevance through site architecture, content development or internal links. Today’s topic focuses specifically on the real value of internal linking and why it’s important. To start with a mental image and analogy, think of internal links like veins in your website analogous SEO circulatory system. 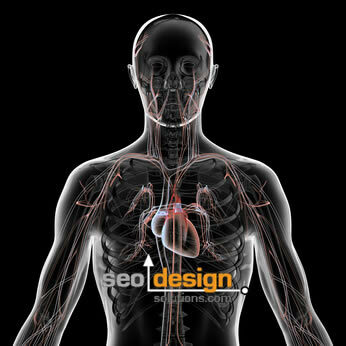 Their role and function are equally as important to the health of your website as the veins are to your body. Think of each page as an island in itself, the page essentially has 3 attributes and/or characteristics (1) the links to it from other pages (2) the content or topic of the page and (3) the links leaving the page. 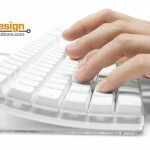 Based on those three characteristics each page serves a very specific function in the website. That function is either (1) to rank as a champion page or preferred landing page or (2) to serve as a hub page or supporting page (to create enough topical relevance) to rank preferred landing pages. With this in mind, the reason why so many pages plateau in the search engine result pages is due to link attrition or more specifically not having enough link-flow from either (a) the site architecture (b) deep links / inbound links from other websites or more importantly (c) internal links from other critical / semantically aligned pages. The quickest way to get a page in the top 10 is to get a link from another page already ranking in the top 10 for a semantically relevant keyword or node of relevance. Here’s the interesting part, you have COMPLETE control over your own pages, their topical focus, how they are linked (with which anchor text, in the primary secondary navigation, breadcrumbs or contextual links (also known as editorial links) from the body of documents in your website; so why wouldn’t you leverage this optimally by segmenting a regiment for your internal links. Taking this a step further, not only can you leverage the collective power of the entire body of documents available within your website; you can create more pages at will to exceed the algorithmic tipping point required to gain enough authority (based on the competitiveness / barrier to entry) for that keyword – on a keyword by keyword basis. We built tools for this (DWS) and for a limited time, you can still gain access before we take it off the menu. For example, if I need to rank for the keyword shoes, with its 606 million competing pages, adding a 10 page website and building some links (no matter how many) is NOT going to create enough relevance to hit page one for the word shoes. Competitors are there due to the relevance and citation they have acquired over the years. The more competitive the keyword, the more time, content, internal and external inbound links from other sites you need as well as trust and authority to offset your competitors relevance score (tips on building domain trust here). Going back to the conquest to rank for a competitive keyword “like shoes”, to accomplish this feat, you will need every layer of your website to be semantically relevant to the seed phrase “shoes” and incorporate various keyword modifiers or different makes, models, types and variations. From there, you will need to structure and segment which pages are critical and what function they serve and how they are connected, i.e. tier one, tier two and tier 3 (meaning landing page, category page or product / supporting article page) and then map out the required internal links, content and implement them seamlessly in the site architecture/hierarchy where they belong – before you start building links. The more competitive the keyword, the more meticulous the on page optimization should be to offset the tendency for attrition or recession in the SERPs. Selective internal linking and relevant content can augment keyword stemming (where a site begins to rank itself – page by page through themed links and content) without relying solely on inbound links from other websites. However, getting to the point where each page can “rank” another page (like a dynamo that has more than enough energy to keep itself perpetual), requires that those pages are (a) indexed (b) strong enough (meaning linked from enough other internal pages) or (c) has enough deep links (inbound links from other websites to those internal page other than the homepage). In my testing and 15 years of ranking websites, no amount of links from other websites (inbound links) are complete unless you (a) have internal links from the strongest topically aligned pages in the website to augment the preferred landing page or (b) have managed to get PageRank to that page (as an indicator of citation) so it can fend and defend itself amidst competitors vying for the same position. Rank a page for competitive or less competitive shingles “groups of words” once it has achieved buoyancy for those keywords itself. The takeaway here is without “proper” internal linking, you are only achieving half the results you could without them. So, before you are tempted to go out and buy links “like JC Penny” in an attempt to bully your way to the top of search engines, create a robust or authoritative site capable of emanating the authority required to topple each keyword variant “starting from the less competitive keywords, then working your way up”. Ironically in the JC Penny fiasco, had they invested in content, site architecture and themed internal linking, they could have captured the majority of those competitive keywords due to the sheer volume of content, age and trust of their domain. You have to build relevance layer by layer to exist outside the wrath of “corrective” search engine algorithms. Everyone has to start somewhere, and once you optimize and see results / traction for the less competitive long-tail and mid-tail phrases, use those pages (like punches in bunches) in tandem with internal linking and site architecture to funnel critical link-flow to your primary category and landing pages, which in turn feed product pages and become stronger. Your website is only as strong as your weakest link, so, the more pages you have “that are indexed and aging” and “linked appropriately or exclusively with the anchor text that page is intended to rank for” the easier it rises to the top unchecked by competitors as a result of the collective weight of the relevancy of your websites authority using a fragment of the off page links than if you hadn’t. Now here are some tips I can use on some of my sites. I thought I had decent links bu now I know what I have to work on. Thanks for the tips! Once a page is strong enough (and either has PR or rankings) you can leverage it to create rankings for multiple pages (based on the keyword and authority it has). Using this daisy chain like effect, which we dubbed the buddy system can catapult dozens of keywords for every page (if the link integrity is funneled) and the number of outbound links is minimized from your template. Otherwise, you can wash out results from having the same old template and links on every page. Unique content and links is the key. Internal links are equally important as backlinks, using different tactics and different keywords are the main sources to keep the rankings high. With the potential value of link weight being equal (regardless of internal of external links) diversity is required for both (to eliminate potential over optimization) a.k.a the keyword sandbox. I completely agree with the view. This post has given me the good insight regarding internal links. As i knew before reading this post that internal links are very useful rather than backlinks but some things wanted to clear and here i got the solution. 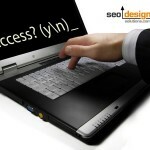 But SEO is not only about internal links as it works a lot if some useful and niche backlinks one get towards the site. I find your article on the importance of pages within my own blogsite however did not realize there was a way to have them ranked in Google and also thought Google frowned on this practice. I would be honored if I could reprint this article on my site. Please let me know if I would have permission to do so. Sure Kenneth, feel free to reprint. Some great info here I will try to improve the internal linking of my site to help it rank better. With WordPress I have links within the menu’s and widgets that are the saem on every page. Is it better to just have links within the content? Thanks Jeff for a great article, the more you read the more you learn. Links are so important for site growth and to have as much knowledge on the subject can only assist one in a forward direction. 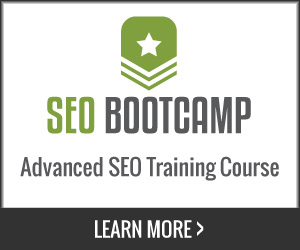 BTW switched over to using SEO Ultimate a couple of days ago and love it so far, another learning curve! Thank you for detailing this information: I find your website the most comprehensive source of SEO out there and appreciate your sharing your expertise! It’s been liberating to focus on internal links to help the crawlers, while working on building trust. Good internal linking is good for your human visitors. I am still plugging away, trying to build up a body of writing that will lend itself to tighter internal links … and maybe invite a few external links, too. Not too many … but a few. Glad you enjoyed the post and that you find SEO Ultimate handy. We put alot into that plugin but we still have a few more modules to add to make it the hands down WordPress plugin for SEO. You nailed it, starting with manageable keywords that can provide traffic is always the best first step. As your site gains more authority, then you can branch off and create more traction. Regarding social media, you can always revitalize old content under the premise of citation and syndication (especially for a new audience search for conducive solutions). Social media is not always time sensitive and by sifting back through and publishing older content (to a hungry audience) you can double click throughs and increase baseline traffic. Thanks for your kind words. Spiders do love links, but aside from that, as pages age, those internal links can catapult nested pages into the top 10 spotlight (without any backlinks). Not to mention they help the site grow stronger as whole. It used to be, you could provide dozens to hundreds of internal links without any problem. However, about 9 months ago I noticed Google penalizing sites with excessive internal links in high volumes “like wikipedia with 50,000 internal links for the word internet” vs. the 40,000 backlinks from other websites. Now, 9 or 10 will suffice, granted they are from the most thematically relevant pages to the preferred landing page. This is serious stuff. Thanks for the post. I’m learning more about these champion pages you’re talking about. I think I created that accidentally with a website I was working on. 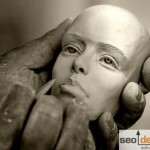 Does this technique still work in these days where “page rank sculpting” appears to have been bypassed by Google? You have discussed it very well, there is nothing else to speak about. Internal linking really can get your blog/site on page one of Google.